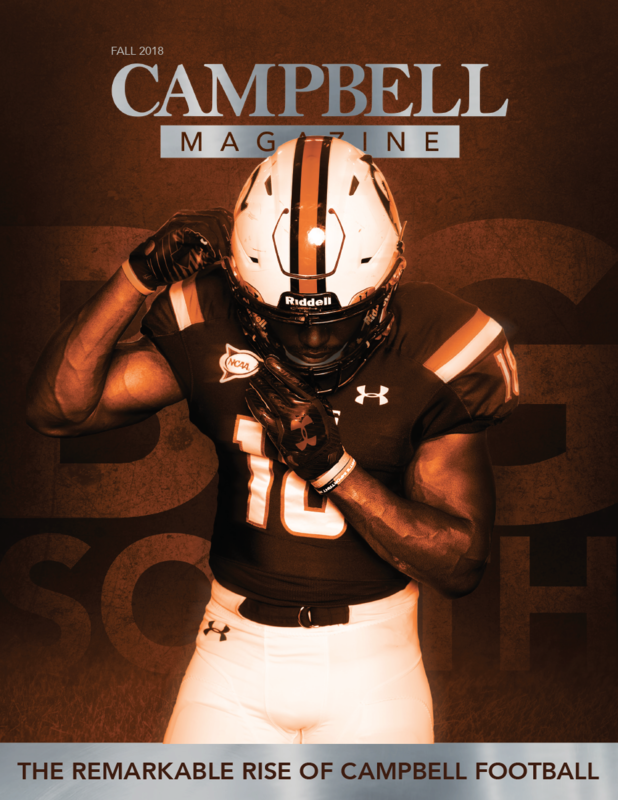 EDITOR’S NOTE: Campbell Magazine spent five days shadowing five Campbell University Jerry M. Wallace School of Osteopathic Medicine third-year students during the first few days of their first rotations at Southeastern Regional Medical Center in Lumberton. SRMC is also home to 25 new resident doctors learning in Campbell’s program. Editor Billy Liggett was granted almost complete access to these students’ experiences as they talked to patients, observed complex surgeries and other procedures and even participated in a few surgeries. 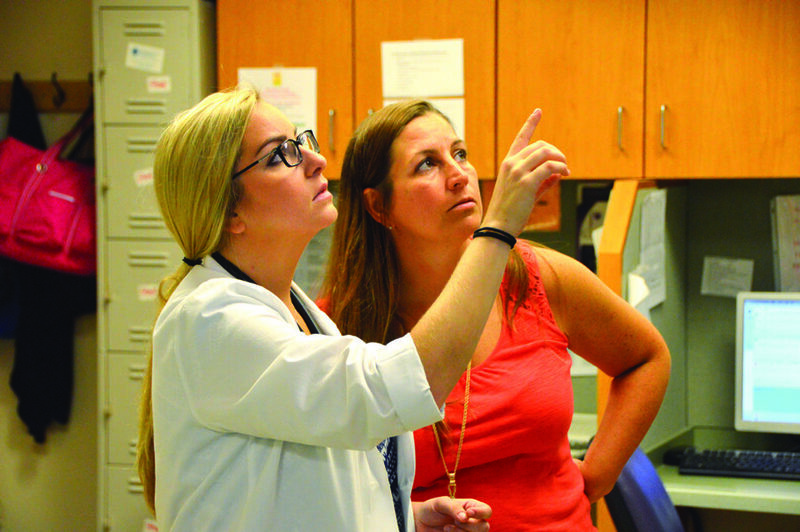 The “shadowing” covered five days — a full first shift for each student on five different days — but is being presented in this feature story as a composite “Day in the Life” to better portray the goings-on of an average day of rotations at SRMC. No patient names are used in this article, and all photos featuring patients are published with the expressed written consent of that patient. 6:00 AM The hours are long, and the pay is nothing. Yet Rajbir Singh is eager to get to his car outside of his Hope Mills apartment and make the 26-mile trek south on Interstate 95 to Southeastern Regional Medical Center in Lumberton. Already — after just a few days in Lumberton on the cardiothoracic surgery rotation — he’s a better student. He’s scrubbed in for surgeries. He’s stitched up living, breathing patients (as opposed to the cadavers students work with back in Buies Creek). He’s been asked his opinion by real doctors and physician assistants. He’s even getting the most he can out of the nearly 30-minute commute. Instead of music, Singh is listening to the monotone delivery of a doctor’s lecture on cardiology and disorders relating to the heart. By the time he’s reached Lumberton and its seven-story, 319-bed hospital at 6:30 on this day, he’s ingested more knowledge than breakfast. And the day has just begun. Wearing a T-shirt under his short white coat with the Campbell medical school’s logo on the left sleeve (the coat gets longer when he becomes a DO), Singh heads straight to the cardiovascular intensive care unit to look at patient charts so he’s not playing catch-up when the rounds begin. 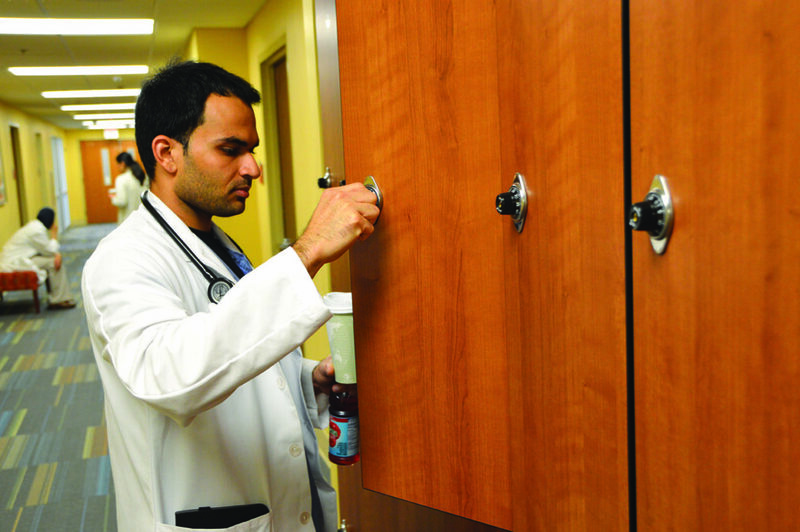 With his preceptor — the on-staff doctor designated to show him the ropes — gone this week, Singh seeks out Albie Simeone, a certified physician assistant and recent graduate of Duke University’s PA school (the CVICU in Lumberton is managed by Duke). The two are roughly the same age, but Albie has been working at SRMC for nearly a year. The experience — combined with two years as an emergency department technician in Connecticut before PA school — proves invaluable for someone like Singh. Their morning flies by. Over the next two hours, they visit five patients, and Singh scrubs in to watch doctors remove pacing wires from a heart patient. The rookie even gets to help. By 8:45 a.m., he’s practically giddy. “I didn’t do badly my first two years [in med school], don’t get me wrong. But being here, seeing these patients … seeing what it all means. It’s different. I’m different,” he says. “The getting here early and extra studying … I just don’t want to be an OK physician. I want to be a great physician. This is the start of that for me.”. 7:36 AM It’s early in Erica Brotzman’s day on the obstetrics and gynecology rotation, and already, she’s wondering if her shoes — thin-soled, worn-in tan tassel loafers — are a bad idea. In her first 30 minutes, she’s walked up and down the halls of Southeastern Regional Medical Center’s labor and delivery wing multiple times, checking in on expecting mothers with her preceptor, Dr. Connie Mulroy. In between visits, they’ve read heart monitors and noted contractions on the flat screens at the nurses’ station. Now Brotzman’s heading to the other side of the third floor to follow up with a few new moms whose little miracles came the night before. The fast pace excites Brotzman, an energetic hopeful pediatrician from Richmond, Virginia. 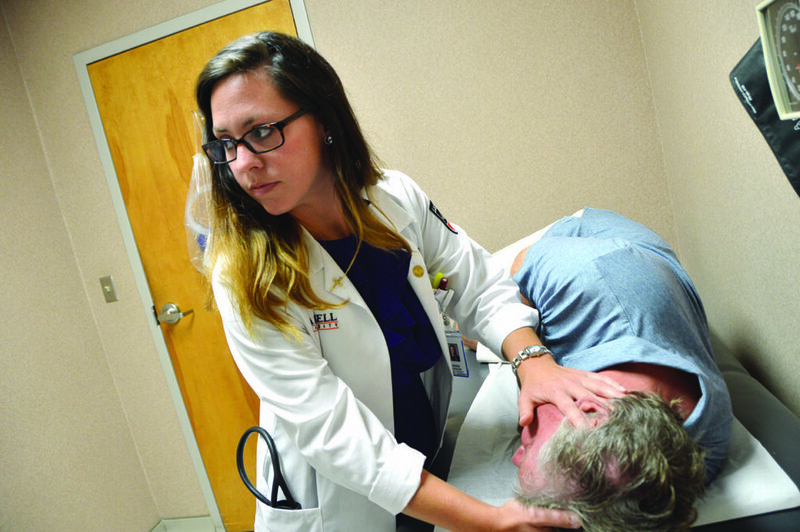 It’s a far cry from the 12-hour graveyard shift she drew during her first week as a third-year med school student — hardly the experience she had imagined and hoped for when she first arrived in Lumberton. Those first five nights — each a 7 p.m. to 7 a.m. shift — produced exactly two deliveries on her watch. The other 58 hours consisted of a lot of chats with nurses and buckets of coffee and sodas to help her get through it. Mulroy’s veteran advice is another reason Brotzman is so excited about this week. The New York native and graduate of Wake Forest School of Medicine has run her own OB/GYN clinic in Lumberton for eight years, and she very recently joined Campbell’s School of Osteopathic Medicine as an assistant professor of OB/GYN. She’s the model of the type of doctor Campbell is hoping to mold — someone who’ll work or set up a practice in the most underserved parts of the state and region. In Robeson County, about 10 percent of all new mothers give birth after receiving very late or no prenatal care, which has contributed to the county’s staggering 12-percent infant mortality rate — double the national average. She’s also already a role model for Brotzman — a wife and mother of two boys who successfully juggles career and family. It’s where she sees herself, hopefully she says, in the next 10 to 15 years. 8:30 AM Their usual morning meeting takes place in an unimpressive office/storage room — much more cramped the past few weeks since four third-year Campbell medical school students have been added to the mix — behind doors that remain locked at all times. It’s the way most mornings begin at Third East, otherwise known as the third-floor psychiatric ward at Southeastern Regional Medical Center. The locked doors are for the safety and security of the doctors, patients, staff and students as many patients on the other side often suffer from serious mental disorders, such as schizophrenia, bipolar disorder and depression. Some are considered a danger to themselves. Some are considered a danger to others. It’s a different kind of rotation and one that some third-years enter timidly. But for Sadia Mobeen, who wants to enter the OB/GYN field after med school, it’s a rotation that must be approached with an open mind. The morning meetings are an opportunity for Dr. Sid Hosseini, a veteran DO, to go over new patient records with the students and his staff of doctors, nurses and directors. The records are highly confidential, and the content is sobering. Suicidal patients. Homicidal patients. Drug problems. Criminal histories. They’re all on the other side of that locked door, and the majority of those patients are walking the hallways, sitting in the common room or eating in the dining area. They’re anywhere but their own rooms, as psych ward patients are encouraged to be social and interact with other patients. Walking those hallways among the patients can be intimidating to a student, especially one entering their first rotation. On Mobeen’s first day, there was one Code Gray — called when a patient becomes combative with staff or another patient. The following day, there were two. 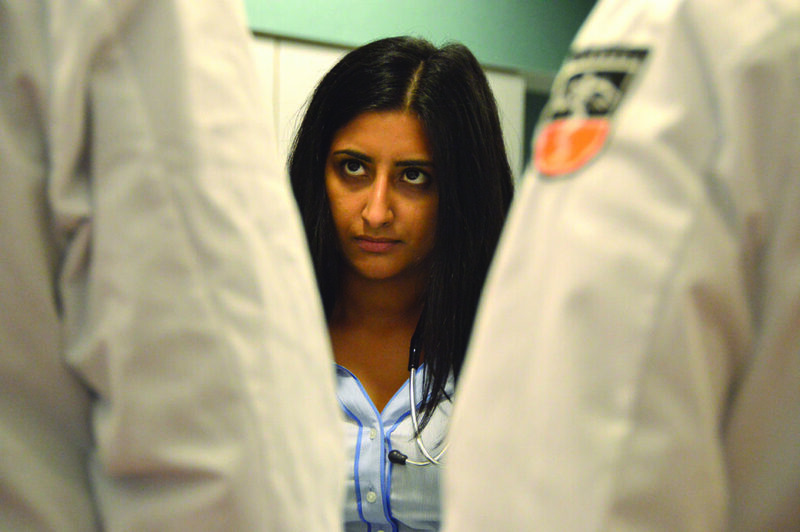 A big part of Hosseini’s job is determining whether a patient stays at Third East. The courts can also make this determination. The reality is about half of the patients walking the hallways today won’t be here tomorrow. Their rooms won’t be empty for long. 9:01 AM Cherie Dickson wastes no time breaking out her Osteopathic Manipulative Medicine skills in front of her MD preceptor, Dr. James McLeod, a well-established and much-loved family physician in his hometown of Lumberton. McLeod’s second patient of the morning at the Dr. A.J. Robinson Medical Clinic a few miles south of the hospital is complaining about his sinuses. His ears feel like he’s on an airplane, and he’s getting regular headaches. It’s not the first time on this rotation that Dickson has stepped up and suggested an osteopathic approach, and it won’t be the last time on this day. What the 28-year-old Charlotte native and UNC-Wilmington graduate lacks in the knowledge that only comes with experience, she makes up for in confidence, curiosity and a genuine compassion for the patient. 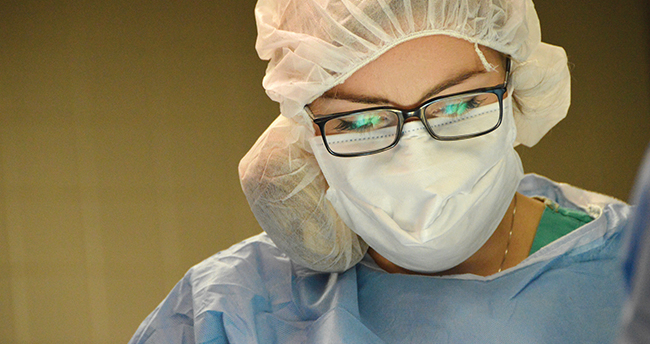 The future OB/GYN feels at home on her first rotation in family medicine, and it shows. She’s also thankful for a preceptor who asks her a lot of questions — often on the spot in front of his patients — and encourages her to speak up. For the next patient, who’s in because of lower back pain, Dickson suggests a series of stretches in addition to pain medicine. At 9:30, it’s a woman in her 60s who has regular dizzy spells. Shortly after that, it’s a follow-up with another woman in her 60s who recently had rods inserted into her foot. Dickson has helped with eight patients in her first two hours, and already, her feet are sore. She and McLeod finished their final patient at 6 p.m the day before, and today looks like it’s going to be another busy one. The next patient is a man who has reinjured his back while moving furniture. He tells McLeod the pain often registers at a 10. For this one, the doctor lets Dickson take over. The third-year medical student works like she’s done this for years, noting the patient’s recent weight gain isn’t helping his back and suggesting he get a bike or find access to a local pool. She asks him if he’s heard of “osteopathic medicine.” Minutes later, her patient is lying face down on the table as she checks his back. “He’s here 10 minutes, and you’ve already got him on the table,” McLeod jokes. The doc still suggests surgery. “And no more moving furniture,” he quips.